Recently a client moved their website to a new hosting service. After the move was complete they contacted the original host company to “cancel” their account. Unfortunately, they didn’t realize that moving a website to a new host did not automatically include transferring the registration of their domain name to the new service. That usually wouldn’t be a problem, but when the client contacted their original “host” to cancel, they didn’t specify that they wanted to cancel just the website hosting service. They didn’t realize that there was a potential problem until the original host sent an email asking them to confirm that they wanted to cancel all services including access to the domains registered with them. Oops! Thank goodness the client forwarded a copy of this email to ask if this was going to be a problem. It turned out that this client had “purchased” their domain from a company that also provided hosting services. Not realizing that these were separate transactions, they bought into the concept that they could get their domain, email addresses, and website hosting all bundled into one subscription. So… what IS the difference between registering a domain and hosting a domain? Domain names are one of the most important ways prospects find you on the internet. Once you have a great idea for a website, then you’re going to want a compelling domain name to go with it. If you want to purchase a domain name for your website you’re going to need to work with a domain name registrar. To put it simply, a domain name registrar is a service that lets you register and purchase domain names. Domain name registrars have been accredited by ICANN (Internet Corporation for Assigned Names and Numbers), which is a non-profit who has been delegated the responsibility to manage the Domain Name System. Today there are hundreds of domain name registrars to choose from. Once you’ve found the perfect domain name for your needs you need to take special care in purchasing it through the right registrar. There are a number of articles that can outline what you should be looking for in a registrar. You can usually register your domain for a period of one, three, five, or even ten years. In some cases you can do it even longer. If this is your first time registering a domain then we usually recommend just registering a domain name for a year. You can usually turn on automatic renewal, so your domain doesn’t expire (as long as you keep a valid credit card on file), and this will give you the freedom to switch registrars if needed. Web hosting, on the other hand, is a service that allows organizations and individuals to post a website or web page onto the Internet. 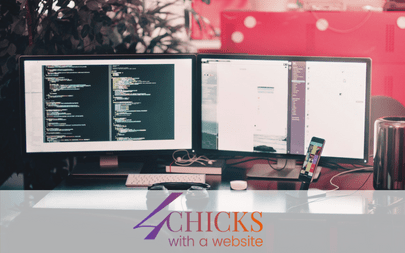 A web host, or web hosting service provider, is a business that provides the technologies and services needed for the website or webpage to be viewed in the Internet. Websites are hosted, or stored, on special computers called servers. When Internet users want to view your website, all they need to do is type your website address or domain into their browser. Their computer will then connect to your server and your webpages will be delivered to them through the browser. Most hosting companies require that you own your domain in order to host with them. If you do not have a domain, the hosting companies will help you purchase one. In fact, most hosting companies also can act as domain registrars. If you “purchase” a domain, keep an accurate record of where you “purchased” it, that is, who is the registrar of record.